When is £1 worth more than a pound? When is £1 worth more than a pound? It sounds like the opening line of a cheesy joke, but actually £1 really can sometimes be worth more than it’s face value. 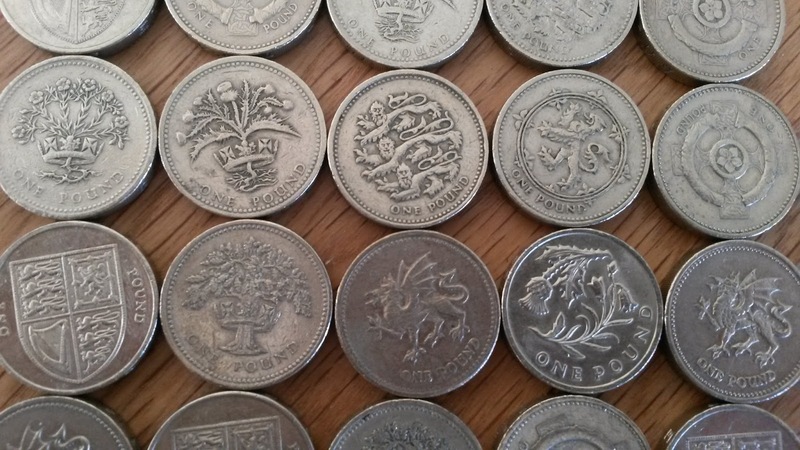 Over the years the pound coin has been stamped with loads of different designs and some coins with errors on them or rare designs are selling for a lot more than £1! This Edinburgh capital cities of the UK £1 coin from 2011 which is in really good condition, sold for £59.99. 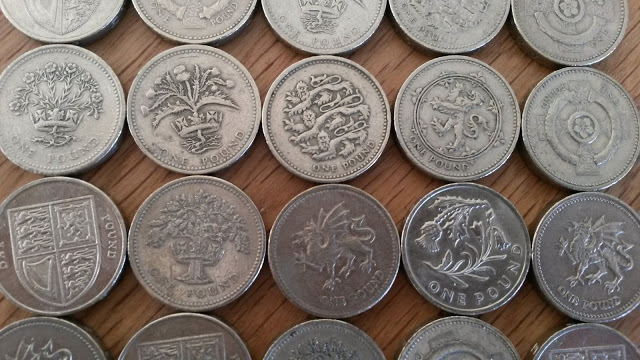 On the lower end of the scale there is this set of 4 capital cities £1 coins (not in such good condition) listed at £7.50 at the time of writing – I wonder what they will go for! The thing with the rare round £1 coins is that they are we aren’t going to have the chance to find them in our loose change forever. In March 2017 there is going to be a new pound coin which will be a completely different shape to the old one. There will still be opportunities to look for mint errors and it may be worth holding on to a first off the press new pound coin, but the round ones will be gone! The papers say the reason behind the change is that it is thought around 3% of £1 coins are counterfeit and this new one will be jam packed with security features to combat this. This isn’t great for the environment as it means a whole load of machines that take £1 coins will need replacing. This won’t affect every machine as for some it just means a software update, but around 40% of machines that take cash will need changing according to the Independent. On the positive side if the machine is replaced by one that can adapt to different kinds of coins coming out in the future, then at least it won’t be a problem next time. The new pound also means a whole load of old pound coins are set to be destroyed. I rang up the Royal Mint to try and find out more and they refused to elaborate on what destroyed meant or what will happen to the remains of the destroyed coins. The only thing they would tell me is that the coins will be destroyed, which is giving me the urge to hold on to a few pound coins to give to future grand kids! So make sure you scrutinise those coins, because you if you get lucky you could make a bit of money selling it on ebay and rescue a £1 coin from being destroyed! This entry was tagged ebay, New £1 coin, sustainable, thrifty, waste. Bookmark the permalink. ← How to get hold of healthy foods and products at a discount!